Friday Night its the best one for miles. 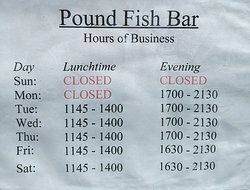 Lovely bit of fish and chips very nice people. 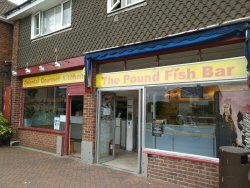 Also has a Chinese attached which is also 1st class fresh food. Tempura batter on beautiful fresh fish, very reasonable price. The chips are to die for!! Would recommend it to anyone. Good idea to order first as it becomes very buy whenever open. Friendly people. 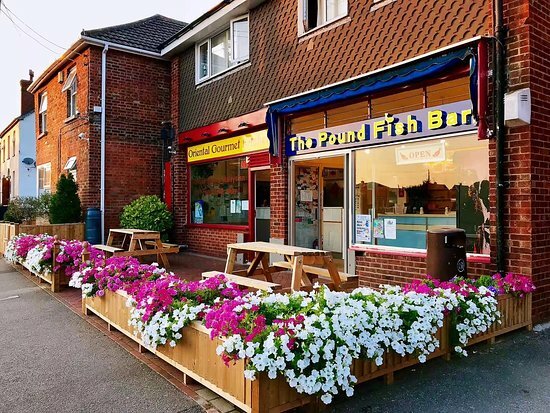 Good portions of freshly cooked to order fish and chips, for take away. Friendly service. Large cod will feed two! Well priced for south of England! 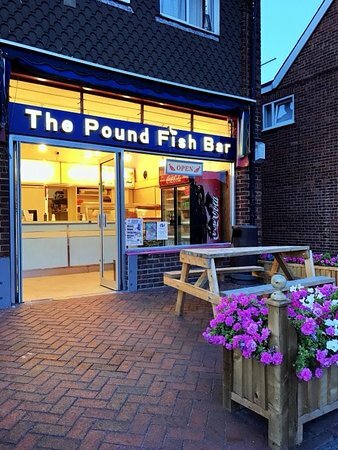 Get quick answers from Pound Fish Bar staff and past visitors.